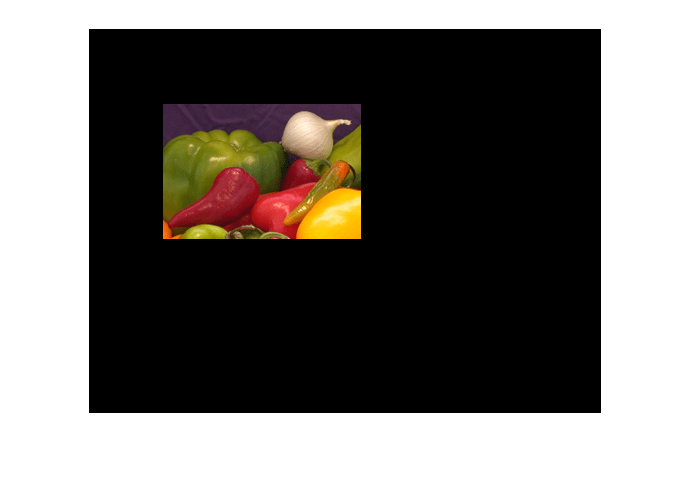 This example shows how to find a template image within a larger image. Sometimes one image is a subset of another. 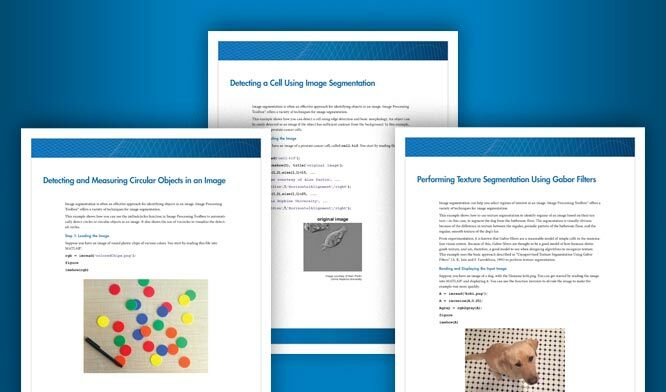 Normalized cross-correlation can be used to determine how to register or align the images by translating one of them. It is important to choose regions that are similar. 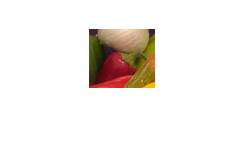 The image sub_onion will be the template, and must be smaller than the image sub_peppers. You can get these sub regions using either the non-interactive script below or the interactive script. 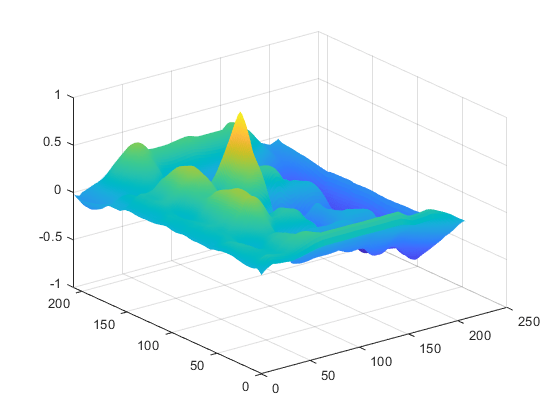 Calculate the normalized cross-correlation and display it as a surface plot. The peak of the cross-correlation matrix occurs where the sub_images are best correlated. 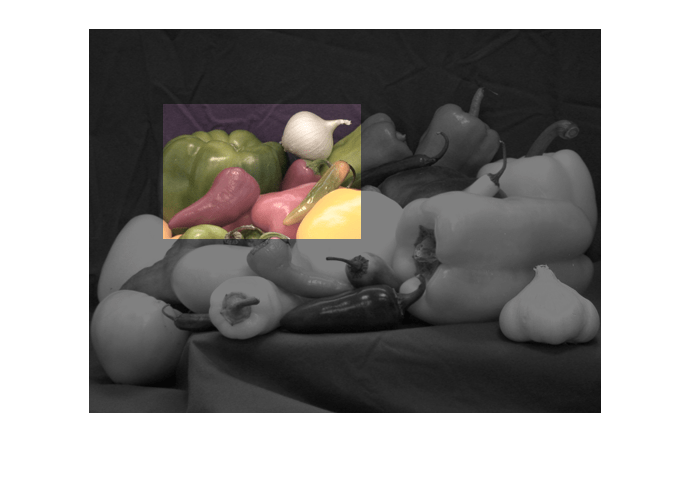 normxcorr2 only works on grayscale images, so we pass it the red plane of each sub image. The total offset or translation between images depends on the location of the peak in the cross-correlation matrix, and on the size and position of the sub images. 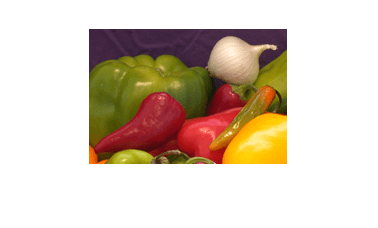 Figure out where onion falls inside of peppers. 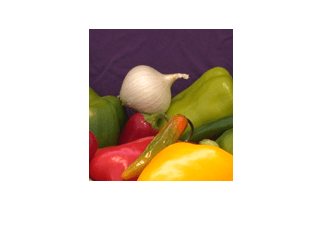 Pad the onion image to overlay on peppers, using the offset determined above. 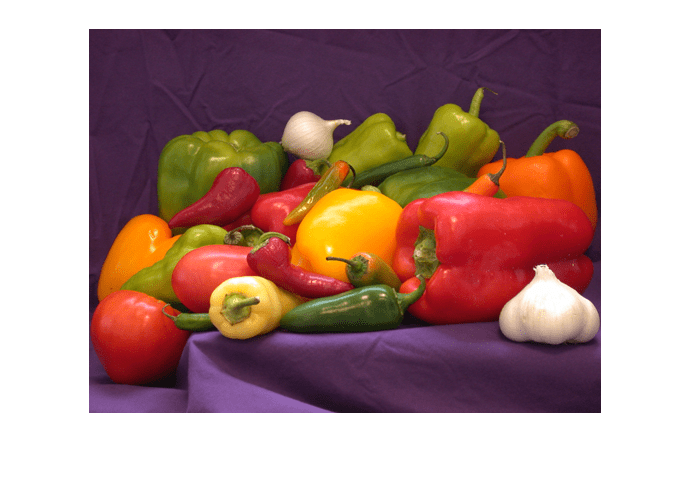 Display one plane of the peppers image with the recovered_onion image using alpha blending.